The week was a beehive of activity at IITA, Ibadan, with several training programs going on simultaneously. These training sessions covered both external training, including participants from outside IITA, and internal training for staff development. The Hands-on Basic Molecular Biology Techniques Training was an external training organized by the Capacity Development Office (CDO) and the Biosciences Center of IITA. This training took place in the Bioscience Lab. The five-day training, 11-15 September, was attended by 11 participants comprising two in-house and nine external trainees from Benin Republic, Burkina Faso, and Nigeria. Melaku Gedil of Biosciences Center facilitating the discussion. 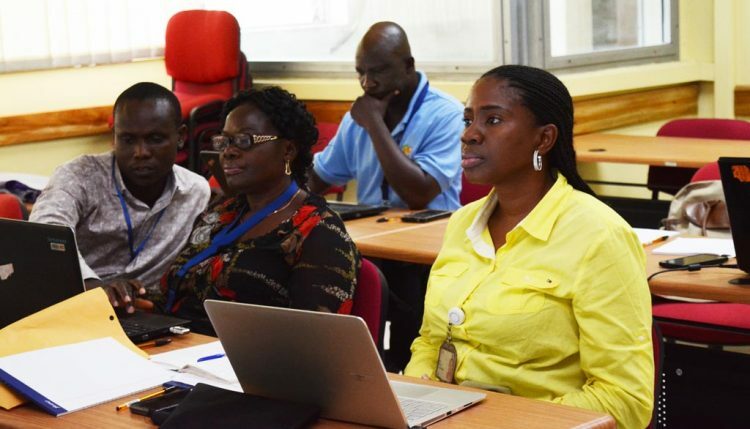 The training was a blend of theoretical and practical sessions, aimed at ensuring that participants can carry out basic molecular techniques and learn how to use some of the equipment and reagents needed in a molecular biology lab. The training covered sample collection, DNA collection, DNA quantification, polymerase chain reaction (PCR) result interpretation, and electrophoresis. The trainees were also taught lab safety consciousness. The training was facilitated by Melaku Gedil, Ranjana Bhattacharjee, Adetutu Udofia, and Victoria Iwu, from the Biosciences Center. According to Bhattacharjee, this is the first time the Biosciences Center and the CDO have come together to organize this in-house Molecular Biology training. The participants expressed satisfaction for all they had learnt. Joy Agbenewei, a lab scientist in Delta State University, said “Before the training I didn’t have any knowledge on basic molecular biology, but with the training, I have learned so much that I can go back and teach others.” She is also hoping to come back to IITA to learn more. Another participant, Chieck Omar Traore, a Research Engineer at the Institut de l’Environnement et de Recherches Agricoles (INERA) in Burkina Faso, said that all he knew about Molecular Biology was what he had read in books; the training had exposed him to the practical aspect which he feels he is now very knowledgeable about. The participants were given a tour of the Genetic Resources Center (GRC), Business Incubation Platform (BIP), Aflasafe, and IITA Youth Agripreneurs. 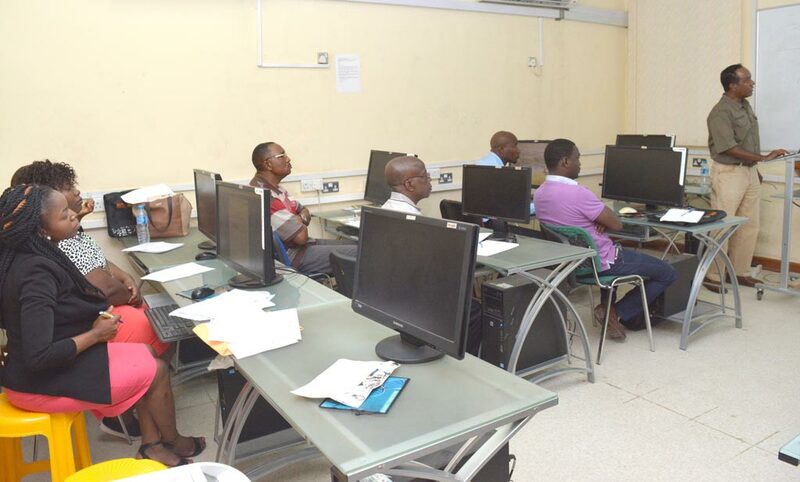 Nine staff of IITA, Ibadan, gathered at the Musa room for a two-day training exercise 11-12 September, on Advanced Microsoft PowerPoint. The training was facilitated by Gerald Umeze, a specialist in Monitoring and Evaluation at HarvestPlus. Learning how to make good presentations using PowerPoint is a basic skill in the workplace today. 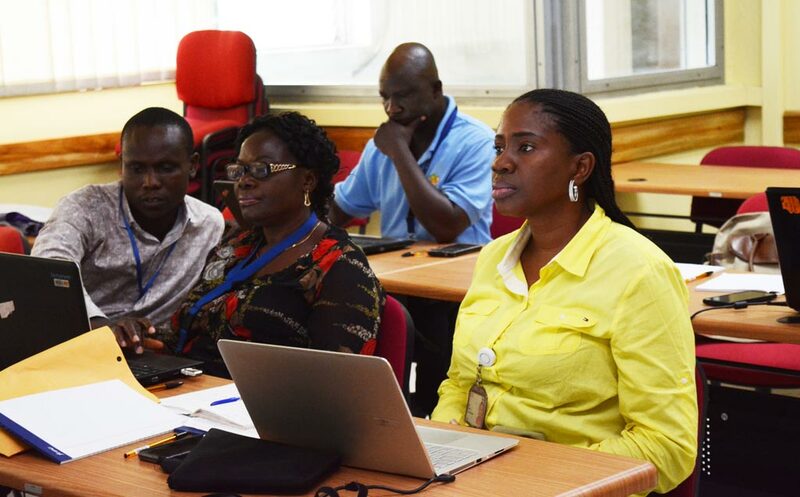 The training aimed at building the capacity of IITA staff to develop and carry out topnotch presentations at seminars using PowerPoint and while giving reports. The training covered both the technical and basic aspects of using PowerPoint (PPT). At the beginning of the training, the participants were asked to make PPT presentations to determine their level of understanding and proficiency of using PPT. At the end of their presentation, the facilitator gave participants feedback and showed them how to make better PPT presentations. The participants expressed gratitude to IITA for the training, especially since most of them said they could not make very good PPT presentations before the training. The training on Small-Scale Mechanization ran 13-15 September. The training was organized by the Agripreneurs specifically for the staff of the Genetic Resources Center (GRC). Participants at the small-scale mechanization training. The training, which involved 18 participants, aimed to sensitize and teach field staff how to use machines in weed management. 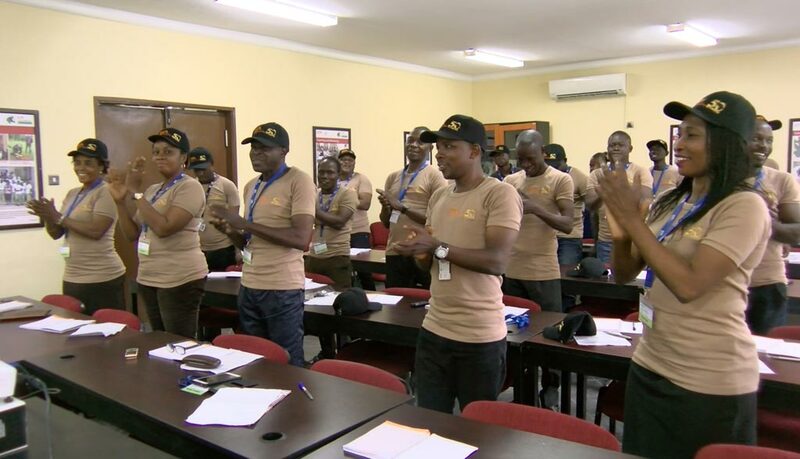 The training comprised the application of herbicides and use of mechanized equipment. It also involved some practical demonstrations of what had been taught. Professional trainers from the Cassava Weeds Management Project of IITA, Agriserve, and Agripreneurs pioneered the activity. Trainers from the postharvest mechanization unit came to discuss different equipment and machines. The Equipment Fabrication Unit was also there to show the different equipment that can be used to control weeds in the farm. Participants were very happy because before the training they only knew how to use hoes and cutlasses to clear weeds. This was very slow and resulted in drudgery, but they said that with the training, they would now be able to control weeds faster and more efficiently. 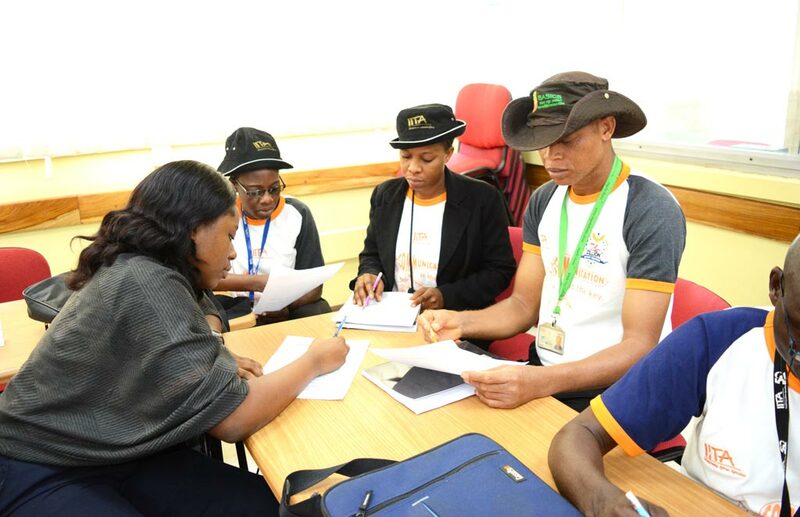 Sixteen staff from different units of IITA-Ibadan participated in a three-day Business Communication Skills training, 13-15 September, at the Musa room. The training was facilitated by Zillion Impact Solutions Limited, a training, and consultancy company in Ibadan. It was aimed at improving staff capacity in the area of business communication, public speaking, and event planning. The training started with individual presentations by the participants. Each of them was given 3 minutes to make a presentation on any topic of their choice. This was a form of assessment by the facilitators to know the level of competence of the participants in public speaking. The participants asserted that the training was invaluable. They have overcome their fear of public speaking, hence, they are more confident that they can now make better presentations. At the end of the training, each participant was handed a certificate of participation.